Cabral Douglas son of former Prime Minister of Dominica Rosie Douglas has officially filed legal proceedings at the Caribbean Court of Justice (CCJ) against the Government of Dominica over the cancellation of a concert caused by what is describes in court documents as the "unlawful arrest, detention and deportation of Jamaican artiste Tommy Lee Sparta and his entourage without cause". 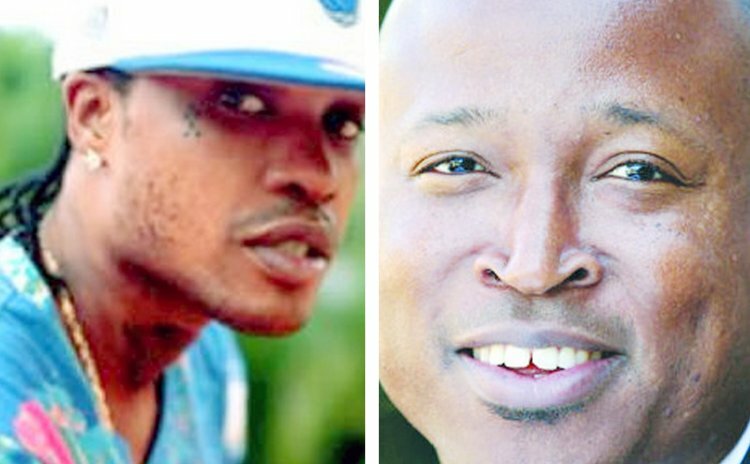 Douglas a lawyer by profession had contracted with prominent Jamaican artist management firm Heavy D Promotions Ltd for Tommy Lee Sparta to perform at his privately owned entertainment venue in Dominica over 2 years ago to mark the opening of Portsmouth carnival. "I am pleased to announce that formal legal proceedings have been commenced at the Trinidad based Caribbean Court of Justice (CCJ) against the Government of Dominica on my behalf. Article 222 of the Revised Treaty requires natural persons and corporations seeking the original jurisdiction of the court to seek special leave to be heard. So I have done that and the Government of Dominica has been served the relevant documents..." Douglas said in a release. three-member team, Tiasha Oralie Russell, Junior Fraser and Mario Christopher Wallace were denied entry, detained in what were described in court documents as "inhumane conditions" and deported the following day causing the cancellation of the much hyped international stage show, financed by Douglas, giving rise to his monetary damages claims. However, this is the first recorded case of skilled CARICOM nationals contracted to work in the host CARICOM state being denied entry, which could prove to be a major setback to the regional integration movement as defined by the Caribbean Single Market Economy (CSME), which Dominica, ironically, is responsible for implementing in CARICOM's quasi-cabinet. Mr. Douglas used this occasion to call on Prime Minister Andrew Holness' government to lead in the fight for the human rights of all Jamaicans citizens. "I would like to use this occasion to call on Prime Minister Holness and the Labour Party government he leads in Jamaica to join these proceedings which will send a clear message that the blatant discrimination being practiced by immigration officials throughout the Caribbean community against Jamaican citizens will no longer be tolerated." he said. "Jamaican lives matter..." he added. In a strange twist of irony, Douglas whose father Rosie Douglas, a well-known human rights activist, led the Dominica Labour Party to victory in 2000, which is still the ruling party in Dominica. "Well I like to think of myself as a product of regional Integration," he said. "My mother is a proud and patriotic Jamaican woman, and my dad was the Prime Minister of Dominica. And, in Jamaica we say: "Out of many, one people!" That simply means whether you come from uptown or downtown, Trenchtown or Redhills, Gaza, Gully or even Flankers in this case, you are a Jamaican...and therefore entitled to protection under the rule of law," Douglas insisted. "So the government of Jamaica needs to demonstrate its leadership by standing in solidarity with Jamaican citizens from all walks of life when they find themselves in situations where these fundamental human rights are violated whether at home or abroad, especially in this type of case where Jamaicans contracted to work in the host country are being publically humiliated and dehumanized ..."he added. The Government of Dominica, not only denied the 4 Jamaican citizens entry, access to the lawyer provided to them at the Douglas/Charles airport, but they also failed to provide any reasons for their arrest and detention. In spite of this, quite curiously, Dominican government spokesman Anthony Astaphan SC announced some 24 hours following their arrest, and deportation, that the action was based on the "interest of public safety". However, following the filing of official complaints lodged by Jamaican attorney Bert Samuels with the Jamaican Ministry of Foreign Affairs, the Government of Dominica, on May 3, 2015, announced a desire for an "amicable" negotiated settlement in the matter. However, according to Douglas, after spending significant time preparing, substantiating and submitting these claims, the Government of Dominica has unilaterally reneged on their commitment to have the matter settled out of court. A letter confirming this from the Dominican Chamber of the Attorney General, dated May 18, 2016, stated that "the government (of Dominica) does not accept any liability or responsibility these claims." This forced Douglas to initiate formal legal proceedings at the Trinidad based Caribbean a Court of Justice (CCJ). Douglas believes that it is in the interest of justice that the Jamaican government join as a party to these proceedings. "As a result of this most disingenuous and hypocritical position taken by the government of Dominica, it would be in the best interests of the Jamaican plaintiffs and the Government of Jamaica to join as parties to these proceedings", he said.
" I think that it would first of all greatly assist the court from a case management standpoint, and secondly, it would also put the court in a position to be able to adjudicate on all matters before it simultaneously, efficiently and effectively so that we can finally see a just outcome to this matter," Mr. Douglas stressed. Court documents have revealed that Mr. Douglas is seeking just over US$3M in pecuniary and non-pecuniary damages.